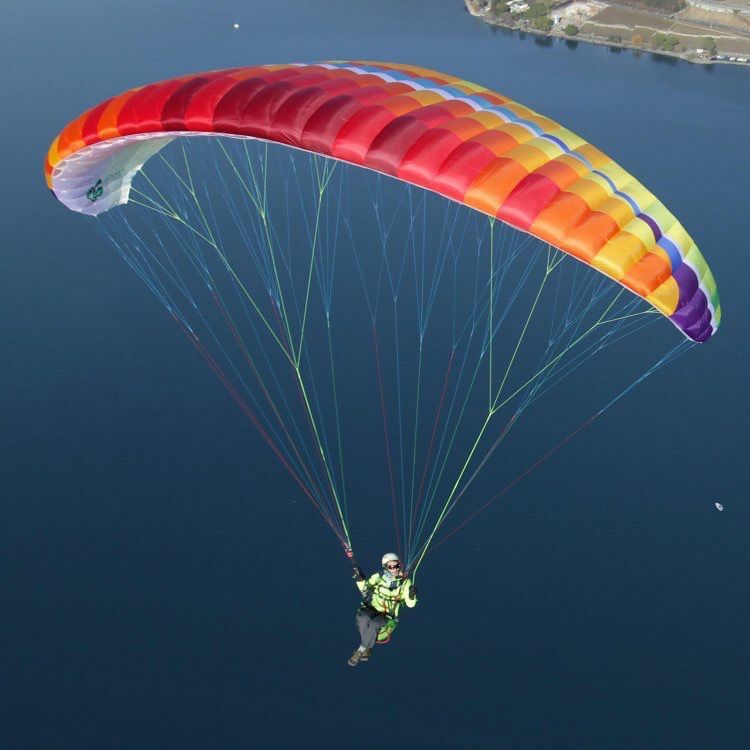 BGD ADAM - A safe and fun glider that you can trust to get you airborne for the very first time, and then learn to fly on in comfort. Home / BGD ADAM - A safe and fun glider that you can trust to get you airborne for the very first time, and then learn to fly on in comfort. TARGET Every parent knows that deep nervous feeling in their stomach as his or her kids first leave the nest. Tyr, my son, is doing his first flights now. Gunnar, and Freyja are almost old enough. I have to believe I did the best possible job equipping them with them the necessary tools for society and flying. I imagine instructors have the same feelings about their students. 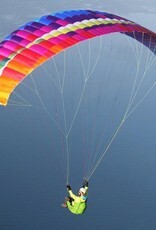 I don't want my kids, instructors, or anyone to worry about how their paraglider will react so I designed the Adam EN-A. It is light enough for little Freyja to carry up the mountain and durable enough for the boys. 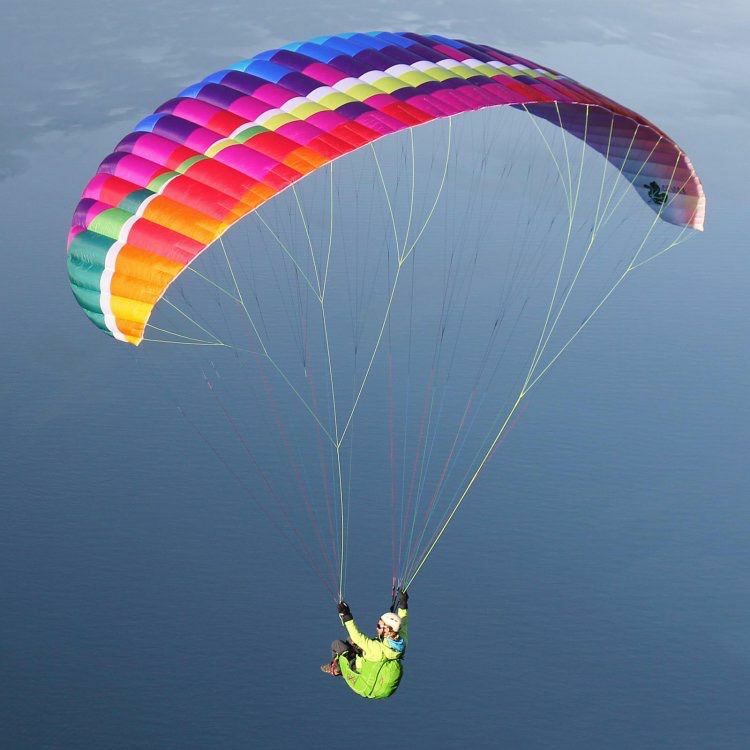 DESCRIPTION The Adam is our EN/LTF-A certified wing, designed for beginners or leisure pilots. 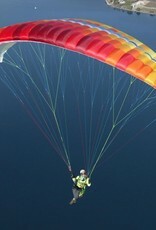 Durable Dominico D30 tissue constructs 34 enhanced clean cells into a safe, 4.8kg paraglider. I believe smooth panels and uncorrupted ribs bring stability to my paragliders so I designed the Adam with Cord Cut Billow (CCB). By adding CCB to the leading edge’s top panel the 3D bulge wraps around the rib without deforming it. This is the first glider of this level to which I have added mini-ribs on the trailing edge. 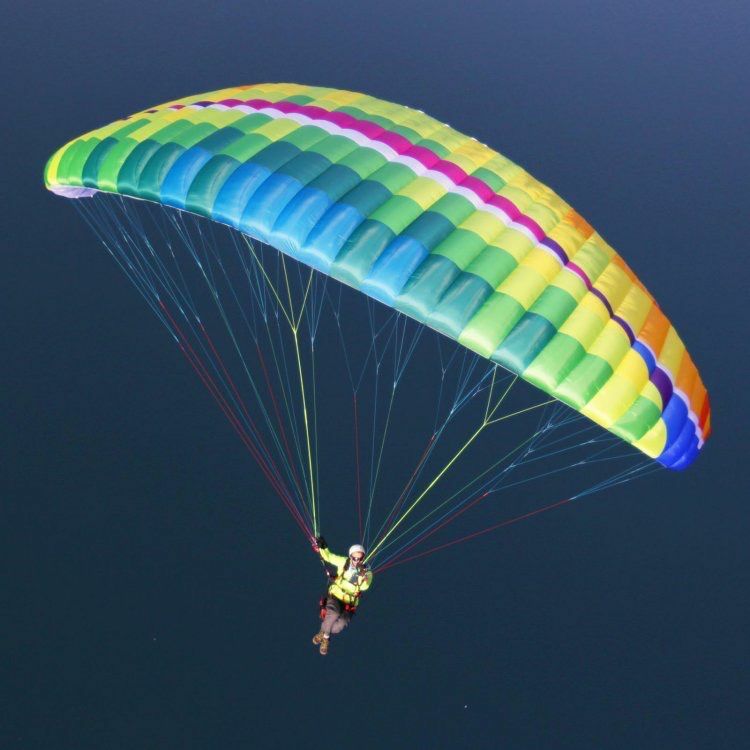 Normally large celled paragliders without mini ribs have a lot of billow near the trailing edge and around the brake fold. When this billow is folded down with a brake input everything gets pulled out of shape. Mini ribs reduced the billow around the brake fold creating more responsive brake input and a cleaner brake fold. The Adam comes in a lot of color. We have found that being seen in the air and on the ground is safe for instructors and new pilots. Bright colors help. 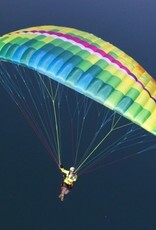 BRUCE'S NOTES I have been designing paragliders since 1990 and this is by far the best EN-A glider I have ever made. Back in those days, the Black Magic DHV-1 was designed from a basic parachute with unsupported cells and square box cell design. It worked but needed improvement. Over the years we have come a long way. CCB and mini-ribs creates fitted 3D cells, unsupported cells are supported with diagonal ribs and span wise bands clean up the bottom surface. All this new technology has greatly improved the safety and performance of beginner wings. For the Adam I believe I have found the best combination of simplicity and technology. It launched really easy, flies responsively, and has the highest safety rating available. I would even let my kids fly it.